Rising Midlothian Racing Driver Collects Trophy for Second Consecutive UK Championship Win. Another fantastic performance across the 11 completed rounds of this season’s LMP3 British Championship, helped rising young Midlothian racing driver, Colin Noble (22) and his Ecurie Ecosse/Nielsen Racing team, to their second consecutive championship win. 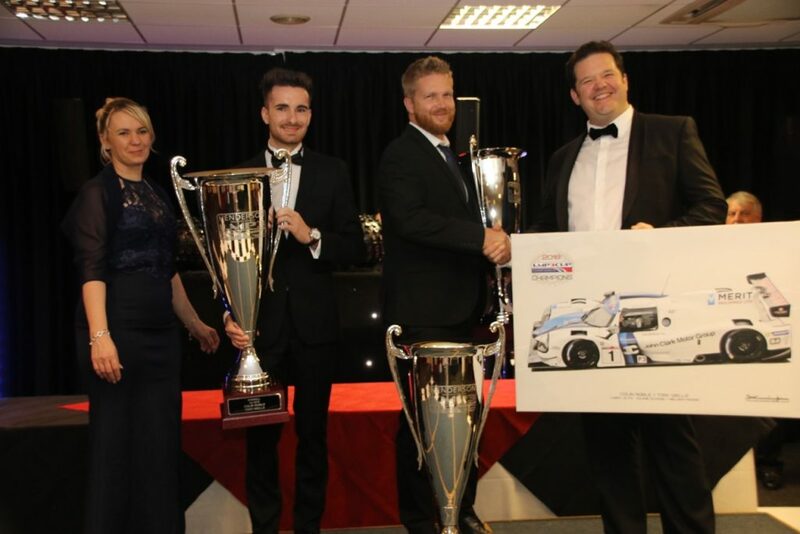 Colin collected his winner’s trophy from LMP3 British Championship organisers, Bute Motorsports’ MD, Chris Haynes, at a glittering awards ceremony at Brands Hatch recently.